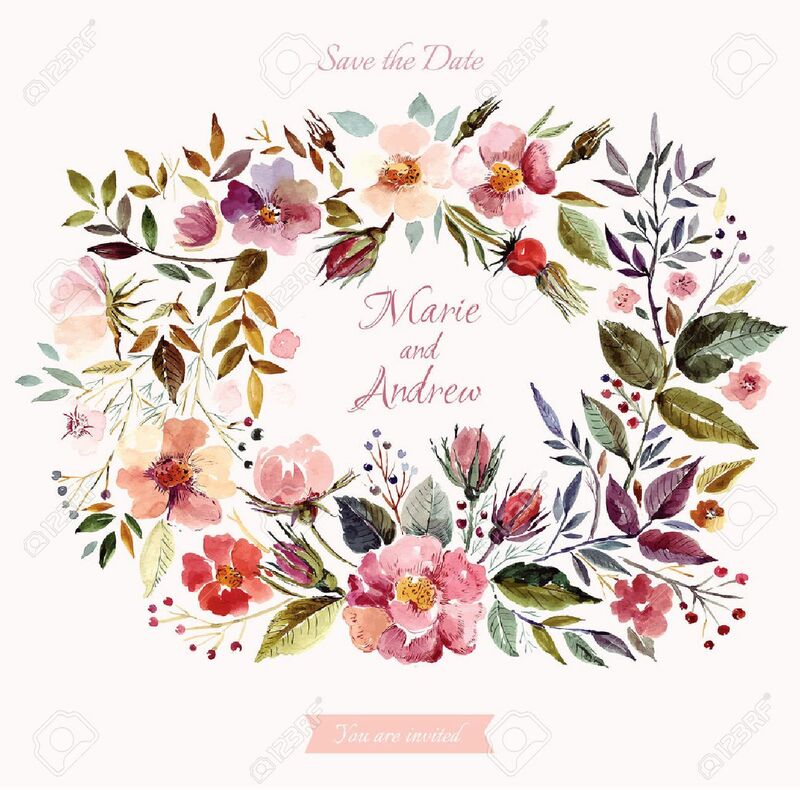 Wedding Invitation Template With Watercolor Floral Wreath. Beautiful Roses And Leaves Royalty Free Klipartlar, Vektör Çizimler Ve Stok Çizim. Image 44083598.